Who is, Kristin Palmer? Tell us a little about yourself. My name is Kristin Palmer and I am 24 yrs old. I live in the wee little state of Rhode Island. I’ve been drawing and painting ever since I could hold a pencil although I didn’t start taking my art seriously until around 2010. I am entirely self-taught and I work mostly in watercolor creating the beautiful world of the fae but I also do portraits and whatever my muse wants me to create….More personally I am a socially awkward Introvert, a proud geek and a major weirdo. I never wear matched socks (how boring is that?) 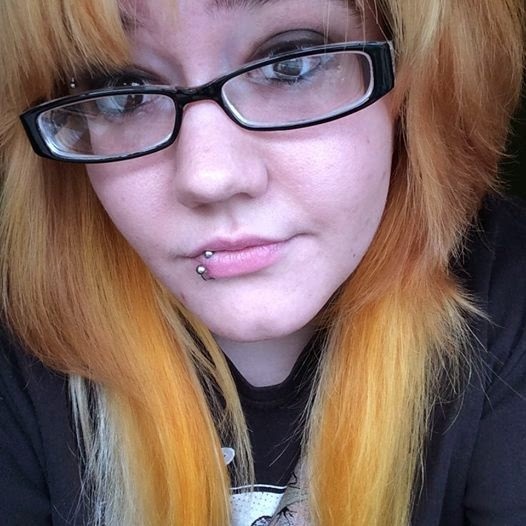 I like dying my hair crazy colors, I love tattoos and piercings. I love hard rock and heavy metal and I’m a crazy concert fanatic. I’m also really awkward. I discovered it through the original 2 lol Amy and Jessica. 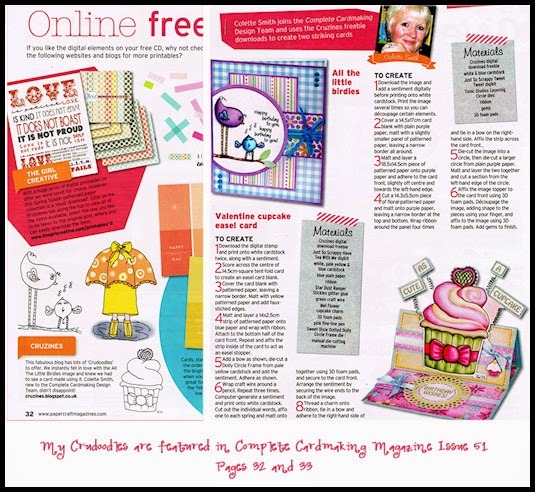 After a while I saw Amy post on her website I believe it was that it was now open for everyone. Shortly after I finally got my own computer and joined facebook and started befriending all my awesome artist friends (hey y’all lol) at this time I was also starting to take my art seriously and decided to take a shot and join EV. New Beginnings- In this piece I see the woman in it as a princess. She’s a princess stuck in a castle and not wanting to be there. 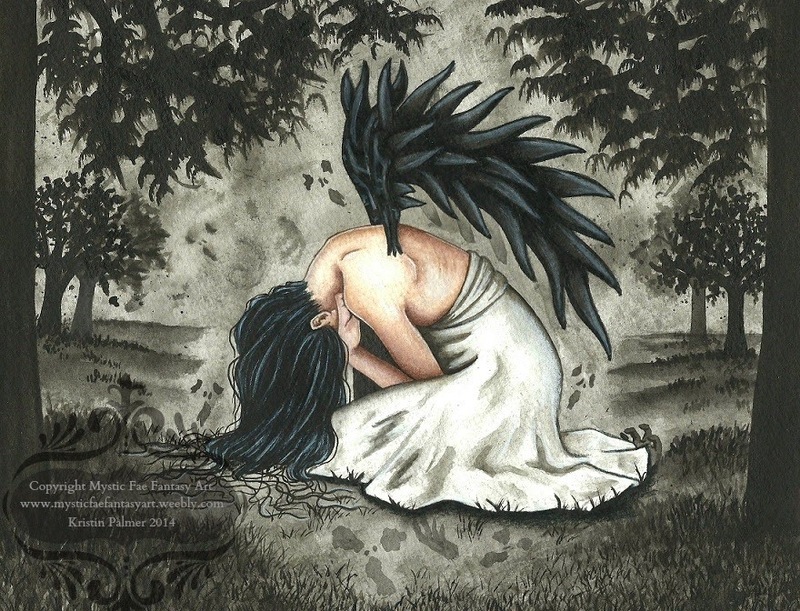 She feels trapped….just like the caged bird. Since she can’t free herself she decides to release the bird giving it the new beginning and freedom she longs for. Internal Misery aka Frustration- I think this one speaks for itself. She is hunched over on the ground in frustration and misery. Her inner thoughts tormenting her like demons…this I symbolized with faint tormented faces and hand reaching for her in the background. Because this is G rated blog, I had to add the censor block. 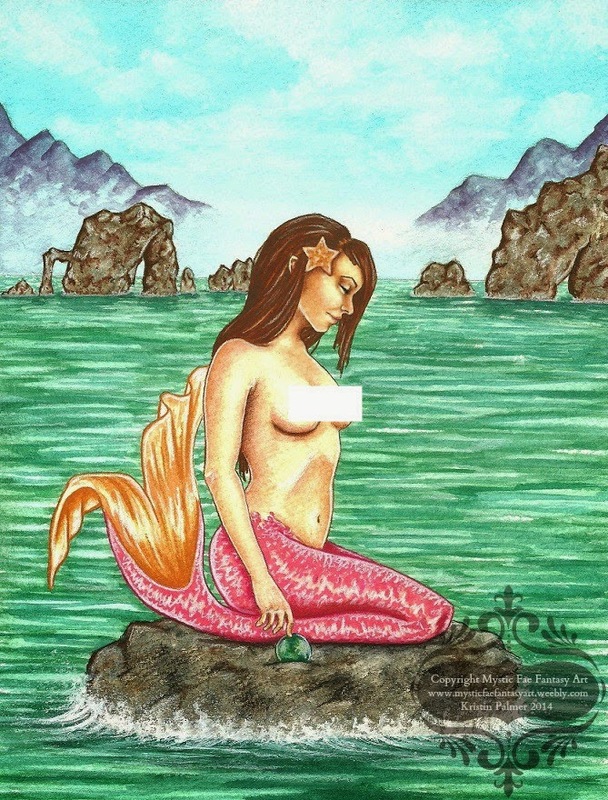 To see the uncensored version, please visit Enchanted Visions or Kristin’s other galleries. Anyone who has followed my art since the beginning will see how far my artwork has come over the years. I feel in the very beginning, reading other artists tutorials and stuff I was trying to do what THEY were doing. I realized that I had to drop that and It took me about a year or so of experimenting and constant painting to find what worked for me and then from there further refining what works for me and refining that skill. I am still learning, experimenting and refining “how” I paint. This probably doesn’t answer the question at all lol but I think what inspired my personal style is the constant wanting to learn and improve if that makes sense at all. At the moment I still live at home so I don’t have a room specifically for my art. So my “studio” happens to be in a corner of my bedroom with a desk where I paint, a large bookcase and a few storage totes to store all my supplies…and I am slowly running out of room lol My dream studio would be an actual room designated for just art and my other hobbies like sewing and jewelry making. Thank you so much Kristin for this wonderful look into your creative process, your art and you. Please visit ENCHANTED VISIONS to see more of Kristin’s art and what she has created for the latest theme. 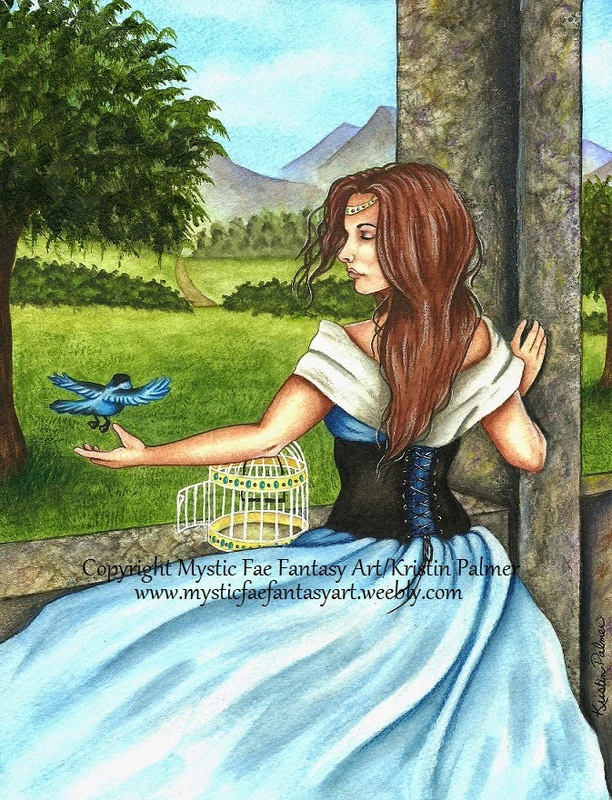 Posted in artist feature, artist interview, Enchanted Visions and tagged fantasy art, Kristin Palmer, painting. I really have seen you grow as an artist over the years. Your technique and depth of expression have become quite impressive. Keep up the great work! You're doing such an awesome job for somebody so young from my aged perspective! You have great talent!